Fermentation is simply the process by which starch or sugar is converted by an organism (or organisms) into either an alcohol or an acid. Enzymes produced by yeasts, moulds, or bacteria work to break down organic matter into simpler compounds. Enzymes are catalysts for chemical reactions, and this breaking down may be looked upon as a process of “pre-digestion” in the context of fermented foods and beverages. Traditionally, we fermented foods because: our diet was enhanced with more diverse flavours, aromas, and textures; seasonal foods and surplus could be preserved; and fermentation is energy efficient, eliminating the need for cooking. Our anscestors knew fermented food was health giving, and we now know that fermentaion enriches food substrates with proteins, enzymes, vitamins and essential amino acids, and that antinutrients are eliminated (compounds that interfere with the absorption of nutrients). Some information about goitrogenic compounds found in cruciferous vegetables that are implicated in reduced thyroid function. We hear a lot about probiotics, but what are they? What are prebiotics, and how can they help us? 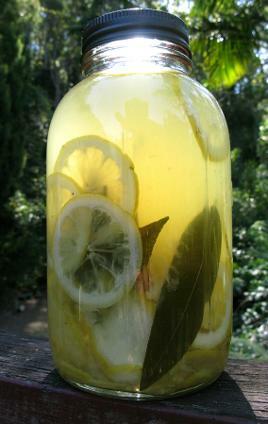 Fermented tonic beverages confer the same benefits as fermented foods, but each food and beverage is different because of the substrate (initial food source). Fermented alcoholic and psychoactive beverages have traditionally been used not only socially, but also medicinally, to enhance human function, in spiritual and ceremonial contexts, and for alteration and expansion of human consciousness. The production and consumption of fermented foods is a form of symbiosis: the micro-organisms involved in the fermentation process cannot produce carbohydrates from sunlight, water and carbon-dioxide as plants do - like animals, they require something to feed upon. In the case of human directed fermentation, we provide this feeding substrate so that the desired micro-organisms may feed, grow, and multiply. In return, they provide us with alcoholic beverages and vinegars, sourdough and other breads, and a vast array of food and beverage items of enhanced digestibility and nutritional value. Probiotic micro-organisms have an even more intimate connection with us – they inhabit our mouths and digestive tracts where they help us to maintain good health and vitality. In his book Wild Fermentation, Sandor Katz likens the microbial succession that occurs during most fermentation processes to the natural progression of growth in a forest. As an ecologist specialising in forest ecology and biodiversity, this is an appealing analogy to me. In a forest environment, the process that ecologists call succession begins with "pioneer" plant species that colonise a newly opened space within the forest. As these pioneers grow, they alter conditions within the soil, and provide the right amount of shade and protection for secondary species to thrive. The secondary species eventually overtake the pioneer species and become dominant, though of course, some pioneers remain. In turn, the secondary species alter conditions to favour tertiary species, those that will become the community dominants, and those species we think of when we think of a particular forest. Eventually, we have what is called the “climax community” – the highest form of expression of that community, and we generally name the community for those that express the highest form. In keeping with our principle of “as above, so below”, the process of microbial succession within a fermenting vessel is a micro version of the macro forest, and we give a successful ferment the name of the dominant and most desirable species in the fermented climax community: we may call it, for example, Lactobacillic fermentation. Initially in Lactobacillic fermentation, our fermenting vessel, with its saline (alkali) environment, is colonised by Coliform bacteria. As they acidify the environment, it becomes favourable to Leuconostoc bacteria, who in turn prepare the environment for Lactobacillus as the pH drops. In keeping with our principle of "as without, so within", this external community of micro organisms within our fermenting vessel is in perfect balance with the desired community of micro organisms within a healthy human digestive tract. Fermented foods help us acheive balance, and in ecological terms, we can look upon the consumption of fermented foods as a practice that promotes biodiversity and sustainability within our internal environment. In embracing the replenishment of our natural balance, our bodies are released from damage control mode, and may once more thrive.